Globally, blockchain is being hailed as a technology seeking to tackle development challenges including poverty in Africa, improve existing systems as well as foster creation of new ones. 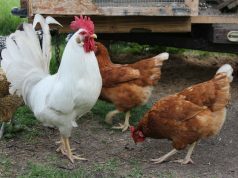 In fact, this new technology seems intended solve African and other developing markets challenges. Thus, blockchain is of interest among entrepreneurs, private sector and technology enthusiasts due to massive institutional weaknesses, low levels of financial inclusion, uncertainties, deception and corruption. Further, massive interests in this technology is due to its ability to empower people directly while sorting out information and power asymmetry. Blockchain technology is best understood as an incorruptible distributed digital ledger (in this case known as blocks) programmed to record all transactions yet remain linked and use cryptography as a security mechanism. In simple terms it is a digital ledger usually shared among different computers to record transactions in a peer to peer network that is decentralized and tamper proof. These transactions are recorded and distributed to lots of computers at different places simultaneously. The importance of this technology is due to features such as immutability, borderless, open, distributed, censorship resistant, and transnational among other features. 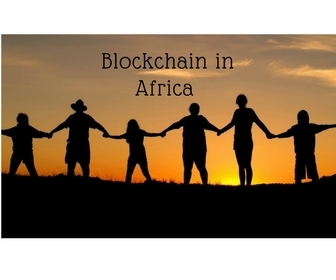 Application of blockchain technology has enormous potential of being a paradigm shift in many industries on the African continent. Its successful application will no doubt help tackle the poverty challenges facing many African nations. World Bank report in 2016 revealed at least 766 million people live on less $2 a day. Majority of these people at 388.7 million are living in Sub-Saharan Africa with most of their countries categorized as under-developed. Central to this high poverty levels in Africa is an existence of weak institutions, low levels of financial inclusion and leading to a disenfranchised population. 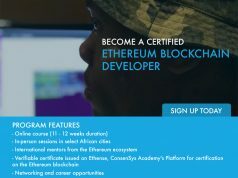 Also: top crypto and blockchain websites in Africa. Institutional weakness affects people living in underdeveloped nations in numerous ways. This includes hindrance to exercising their economic, social and political rights. For example, citizens lack proper documentation in under-developed nation thus creating a corrupt system one characterized by power concentration among elites. A feature in one the local dailies in Kenya note in a local unit known as a ward in the outskirts of Nairobi up-to 2000 young people lack national ID. Evidently, such a population of young people cannot participate in economic, social or political activities of the country without the vital document essential to proving their identity. Consequently, complicating lives of affected individuals leading to marginal levels of social trust. Additionally, a survey by Victor Rateng established Kenyan’s trust levels to politicians was at 34 percent. Some of the metrics used in this analysis in 2016 include politician’s contribution and commitment to inclusion, use of public funds, support for constitution and devolution. 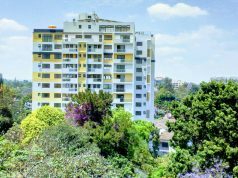 Kenya’s property registration especially land titling elucidates another case of failed systems or weak institutions. Presently, over 60 percent of Kenya’s land remain unregistered. Mainly due to communal ownership of land arising from inheritance from forefathers. Notwithstanding numerous ownership conflict constantly experienced in the country, individuals living on these lands cannot access finances from lenders as banks require some collateral among which is land. Blockchain through three approaches discussed hitherto can immensely solve institutional weaknesses in Africa. Firstly, establish a property registry on the blockchain network. This is a public ledger with legal registration and documentation of all real estate properties in the country. Maintaining property records as such allows citizens to prove their ownership, gain access to property valuation leading to access to finance markets. It is possible to do all this through other digital means excluding use of blockchain technology. However, other digital solutions for property registry are prone to manipulation. Case in point involves local agents involved in digitizing property can bribe registries thus altering property documentation. On the other hand, with blockchain technology the exact property owner is in possession of private keys necessary to kick-start transfer of ownership. Interesting, this process of property registry and proof of ownership can be done via mobile phones which is highly convenient. Therefore, governments should create necessary infrastructure even collaborating with private enterprises to educate people and promote the solution. 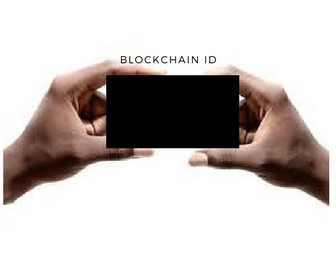 Additionally, it is crucial for African countries to come up with digital documents integrated on blockchain network. It entails creating a digital ledger with all legal documents including birth certificates, national IDs, passports, driver’s license and marriage documents. For instance, lack of national IDs is a common problem in Africa and other under-developed nations. As evident above of a case involving over 2000 youths in Kenya within a ward not having IDs this limits their ability to participate in various activities. This includes activities such as opening a bank account, using government services such as applying passports or even voting during an election. It is easy to counterfeit these vital documents for example, in Kenya it cost only Ksh. 100,000 only to bribe officials in Northern Kenya if you are an illegal immigrant and gain access to the country. Although, the government of Kenya undertakes confirmation of these documents in case of doubts when an individual present such to government offices, it is costly and time consuming. On the other hand, using a blockchain solution eliminates deception and saves on costs incurred as a result of tedious confirmation processes. Furthermore, registering new borns on blockchain is a proof of existence which helps government in service delivery including access to healthcare, education, monitor inheritance claims and protects children against abuse. The period between 2010 and 2016 less developed world registered 40 percent of new births compared to 100 percent in North America. Global percentage registration is at 71 percent of total new births registered according to a survey conducted by UNICEF. Consequently, illustrating less developed nations lag behind worldwide in registering new births which impede social and economic progress for these nations. Blockchain empowers people to register new births using mobile phones. Even in rural areas where for example, in Kenya the poor and those living in rural areas manage to register only 52 and 61 percent respectively as per UNICEF data 2010-2016. People living in the rural areas can use a blockchain based application and manage to register new infants without using local agents. The benefit of this solution is it creates accurate and up to date records necessary for analysis and aid government policy directions. Using accurate data governments can come up with solutions aimed at solving poverty as well as foster development goals. For example, governments can allocate appropriate funds to education programs also prevent spread of epidemics because its possible to monitor cause of death and areas affected. As such blockchain based solution on registry of people can improve citizenry lives, public governance and overall business environment. On tackling institutional weaknesses, the final part entails budget tracking and blockchain application. Implementing budget tracking mechanism has two effects hindering corruption and aids tracking of all expenses and transactions. Most governments in underdeveloped nations especially in Africa suffer from high prevalent rates of corruption and embezzlement of public funds. For example, Kenya according to a report by Transparency International in 2017 its among the most corrupt countries worldwide. The index shows a deteriorating index between 2012 and 2016 moving from 27 to 26 with zero index showing most corrupt. Other underdeveloped nation alongside Kenya include Uganda at 25, Zimbabwe 22, Sudan 14 and the most corrupt Somalia at 10. In monetary terms amount lost to corruption as per reports in 2016 is Ksh. 600 billion annually and with the most recent case revealed by auditor general being inability for government to account for Ksh. 40 billion. Over 2.7 billion adults globally cannot access financial services. The situation is worse in developing countries especially within the Sub-Saharan Africa where despite of robust economic growth this seems to benefit a few wealthy elites. As a result, continual growth of income inequality gap between the poor and rich in African countries. At the center of this high poverty levels and disparity in income equality is financial inclusion. In a population of 46 million people Kenya for example only 22.6 percent of adults have an access to formal bank account. Inability to access financial fundamental services including bank accounts, small loans and insurance coverage means citizens cannot engage in many economic activities. Such financial exclusion can be traced to lack of proper documentation and existence of inefficient credit markets. Information asymmetry about customer’s credit worthiness, proper and secure identity confirmation cause this inefficient credit market in under-developed nations. Blockchain based solution can help reduce credit market moral hazards and information asymmetry. Using a tamper proof micro credit ledger different lenders can save data relating to financial situation of their customers. In order for customers to protect their data it would be the role of clients to authorize access to requested information by financial institutions. Due to legal issues and implementation risks plus barriers of such a solution it is possible to use peer to peer banking services aided by blockchain. Notably, discussions around barriers to successful application of blockchain solutions are gaining huge attention. For instance, Trescon organizes a World Blockchain Summit a series of global events connecting global blockchain experts and technology players to foster adoption of blockchain technology. 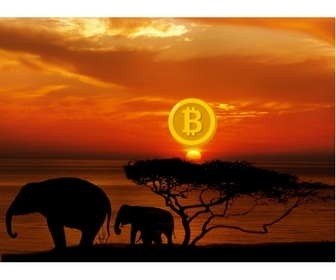 This year Nairobi will play host to one of the summit’s event and its an opportunity to grow awareness on how blockchain can solve African challenges including poverty. 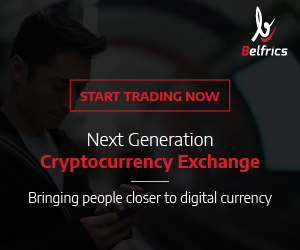 With blockchain technology people exchange assets with value such as currency or property directly as well as offer other financial products such as crowdfunding to help viable businesses access capital for their businesses. 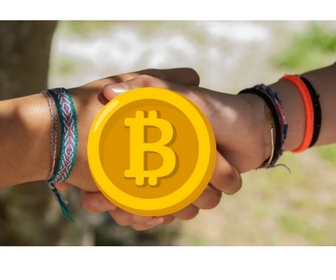 It is possible to transfer digital money in the form of cryptocurrencies using the peer to peer transactions. Interestingly, adoption of blockchain solutions seems to be gaining traction with the ability of businesses to raise funds using ICO model of crowdfunding. ICO means Initial Coin Offering which is an event running for a specific period allowing investors to purchase tokens of a business in exchange for listed or supported cryptocurrencies (mostly bitcoin or ether) by the business. Even though this phenomenon is largely unregulated in the past businesses have and continue to raise huge amounts of capital. For example, with about 2 days of launching their ICO SureRemit was able to raise $7 million which is the first and most successful African ICO to-date. The market is fast growing and going viral each day there will be an ICO SUMMIT on 17th March 2018 held in Kenya-Nairobi. 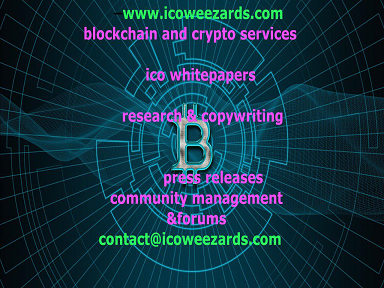 The objective of this forum is to help people learn about blockchain based application more so, how businesses can use ICO model to fundraise capital for their organizations. Noteworthy, this will be an opportunity to improve financial inclusion within the Kenyan market by creating awareness about using peer to peer financial services as well as access capital via ICO model. Kenya has been a leader in financial technological transformation and who knows this ICO Summit may be the solution to financial exclusion in Kenya plus the region at large and maybe help reduce poverty levels.